More than 1200 years old and still fresh as a daisy - that's Wemding! Known above all for its pilgrimage basilica Maria Brünnlein and as the birthplace of the famed physician and botanist Leonhard Fuchs. 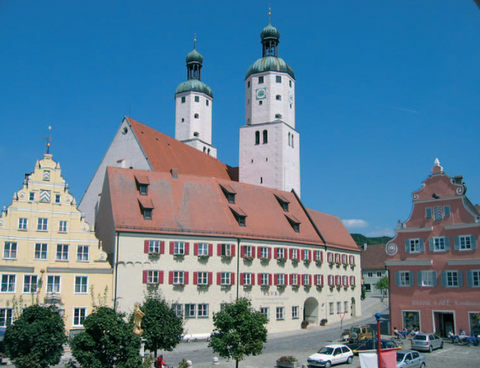 Especially impressive is the historic center around the main market square with the historic town hall, grand private town houses and parish church with twin towers. The KunstMuseum Donau-Ries is a modern art collection as well as a creative center for artistic works. As a recognized health resort, Wemding offers numerous leisure activities and family-owned hotels and restaurants to experience and enjoy in the region between the Ries and Altmühltal.